We have had terrible storms here last week and many areas have flooded badly as a result. Four people died in those floods. Many have lost their homes. It has been an intense week. 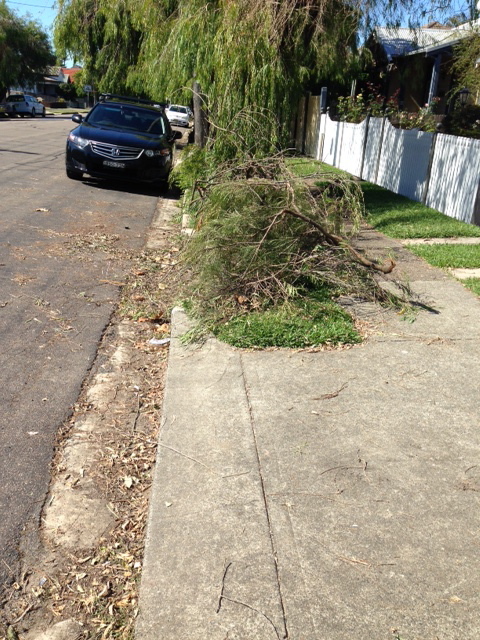 Now sights like this are common around the streets, and for a time it was much worse. 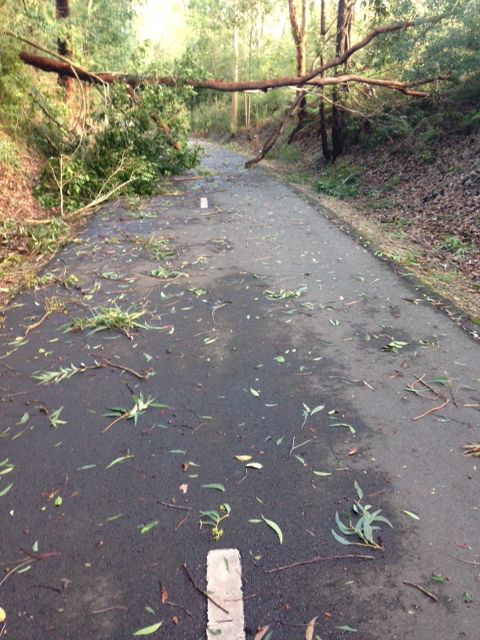 Many roads have been impassable due to debris, fallen trees or flooding water. Now the sun has emerged and we can make our way outdoors again, tentatively. Riding can be a great way to get around after a storm. A bike has the flexibility to traverse uneven ground or to go around a fallen tree or to be carried over obstacles, whatever they may be. Riding on the streets is quite safe now in most of the areas I’ve ridden and the weather has cleared beautifully, making riding a pleasure. 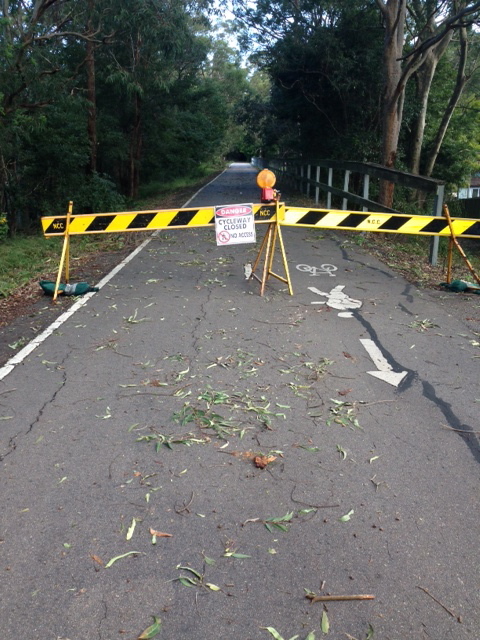 Fernleigh Track is still closed except for a stretch at the Adamstown end. There is still the danger of falling trees and branches along there. 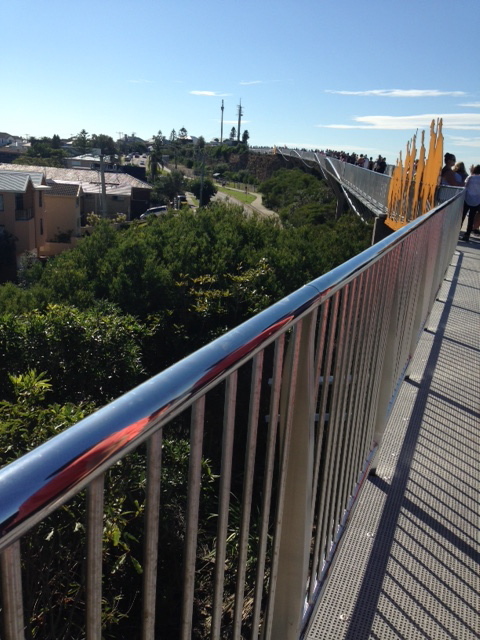 Anzac Day was yesterday, and the newly opened Memorial Walk was packed with walkers. Although this new construction is not permitted for cyclists, it has improved cycling conditions in the area in one respect. 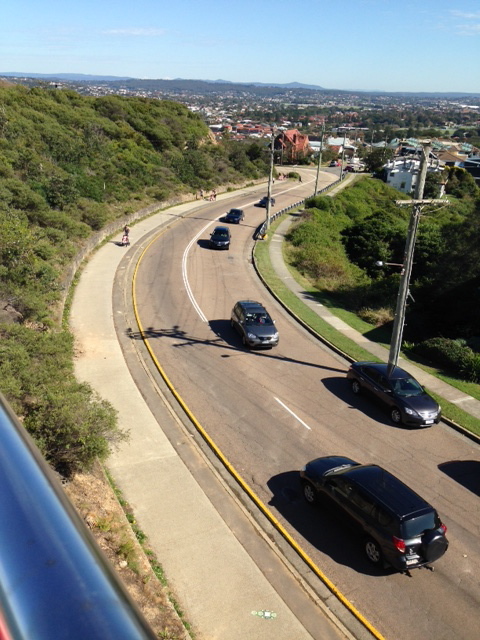 The shared path up Memorial Drive is now much less crowded and thus is more conducive to cycling, and while it does not have the same spectacular views as the new walkway, it is not as steep. 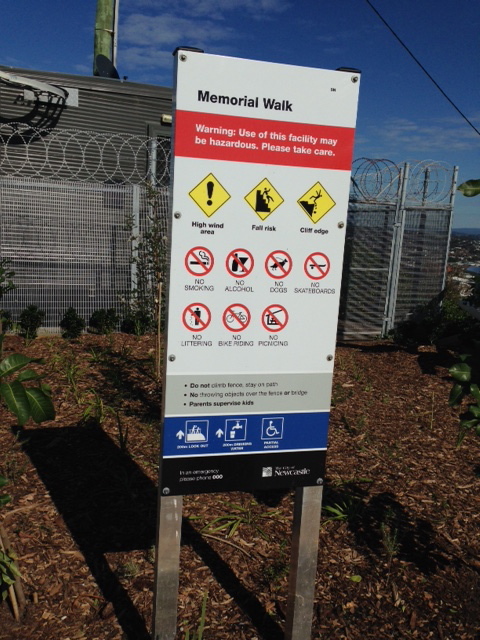 The convergence of these two events, the storm and the Anzac centennial ceremonies (celebrated here with the opening of the Memorial Walkway as well as record attendance at other ceremonies) has made for a very intense time here in Newcastle. 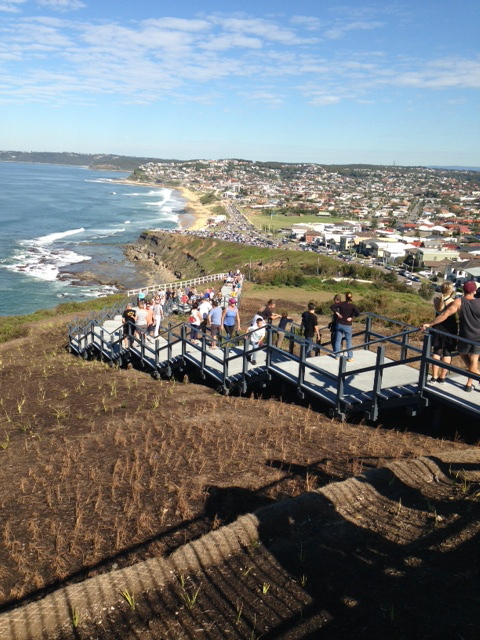 The mingling of grief for those who have lost their lives or homes after the intensity of the storm, along with the sheer brilliance of the weather for Anzac Day has left a somber yet positive mood over the city. 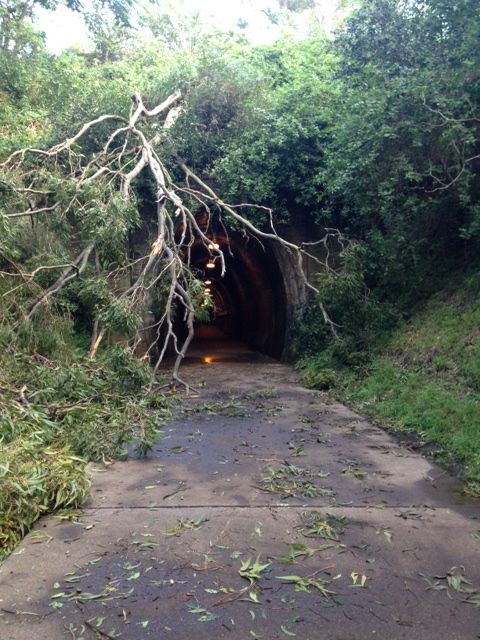 This entry was posted in Uncategorized and tagged ANZAC walk, bar beach, Fernleigh Track, newcastle, Storm. Bookmark the permalink.